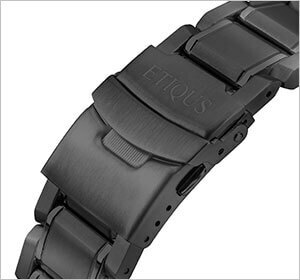 The starting point for an ETIQUS timepiece is the size of the case. 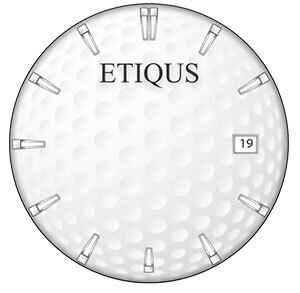 The diameter of a golf ball is 42.67mm and this is the benchmark against which all of the ETIQUS range is sized. Our 'Tour' models are the same diameter as a golf ball. Simply hold a golf ball against your wrist to gauge the size. The unique dimple pattern gives the subtle effect of a golf ball. 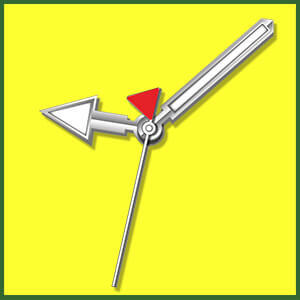 The watch face is available in a range of golf inspired colours. A date window is a necessity for the golfer – as any entrant to a competition needs the date on their scorecard. Tee batons are placed upon the face to show the hour markings. 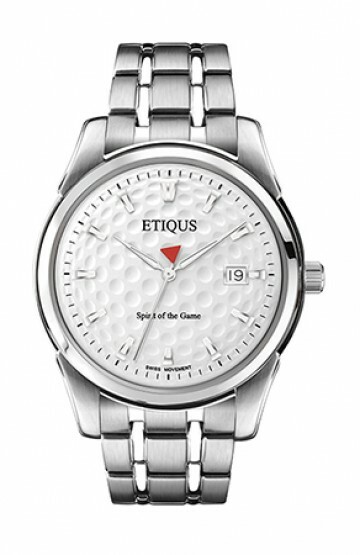 A defining feature of every ETIQUS timepiece is the second hand in the form of a golf flag. It was an obvious choice to choose red as the colour but whether it should point to the left or to the right was another thing for us to master. It's one little secret point of detail that the dedicated golfer might discover and appreciate. 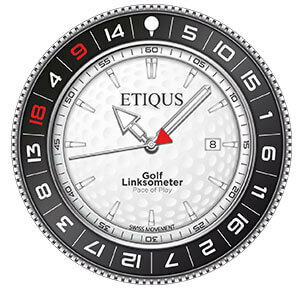 All patented ETIQUS SPORT timepieces feature the iconic Butler Golf Bezel with algorithmic hole markings originally inspired by Pace of Play guidelines published by The R&A. 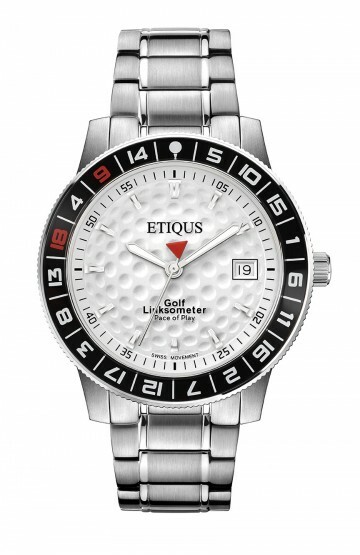 Should the golfer choose to wear the timepiece on the course then the complication will allow the golfer to regulate their pace of play over 18 holes of golf to a guideline of 3 hours and 50 minutes. Off the course it is the distinctive feature to identify you as a Golfer. 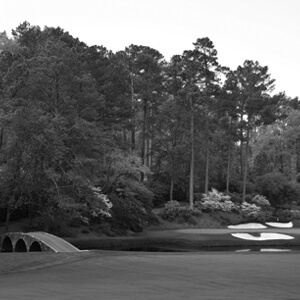 It's the secret code that good golfers have deciphered. 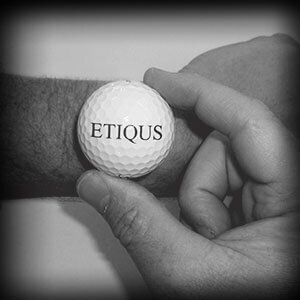 An ETIQUS watch tells you the time but tells everyone else you're a good golfer! The ‘Ball on Tee’ start marker, white boundary lines between numbers and the red numbers for 9 and 18 are all finishing touches that are meaningful to the golfer. 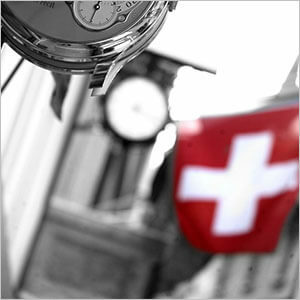 Swiss watchmakers are the masters of their art. If there was ever one indicator of a quality timepiece then this is it. 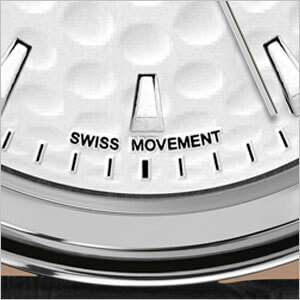 For time keeping accuracy and reliability…and durability if worn whilst playing golf ...the movement simply had to be quartz. 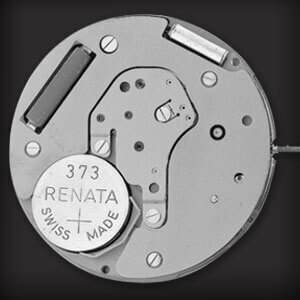 Each movement is powered by a battery and so the timepiece does not require winding. 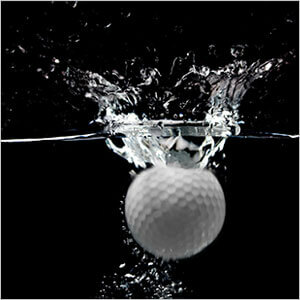 All golfers know it’s not a good idea to go in the water. 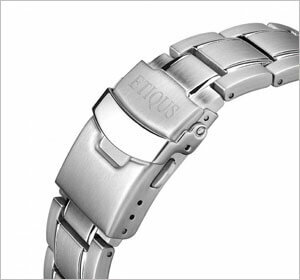 ETIQUS timepieces are made with a water resistance of up to 100m (10ATM). By all means take a dip in your swim wear but not in your golf gear... unless of course you've just holed the putt to win the Ryder Cup! The glass face crafted in Sapphire Crystal, a virtually scratchproof material with a Mohs scale rating of 9, is a defining characteristic of quality. 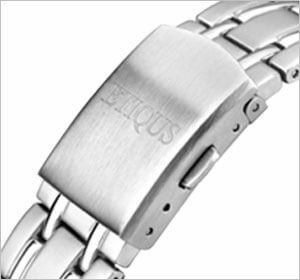 High quality solid steel gives weight and durability to the bracelet. Finished in either original stainless steel or black ionic plated steel. 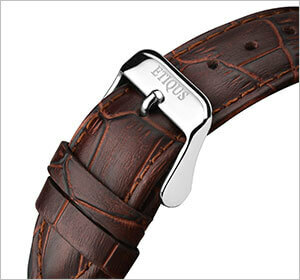 High quality genuine leather in textured croc finish with engraved steel buckle to match the case finish. 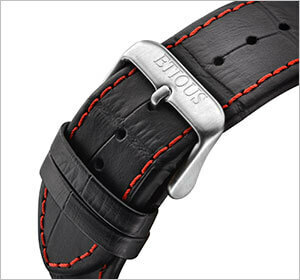 All leather straps have individual stitching detail in a range of colours designed to complement the dial colour. 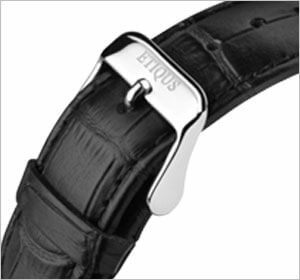 Durable black silicone sports strap with engraved steel buckle to match the case finish. 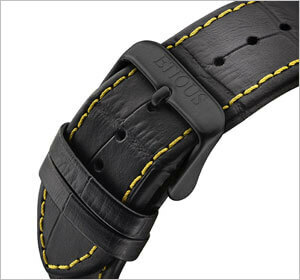 The best strap to choose if you wear your timepiece both on and off the golf course. From initial concept through product design and technical evaluation quality assurance is a key element in our process. 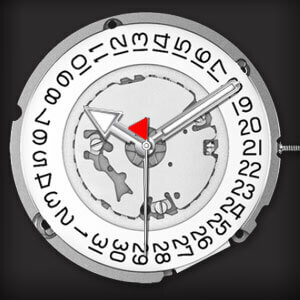 All of our timepieces are thoroughly tested through product development, initial prototypes, pre production samples and final production quality product, to exacting standards. 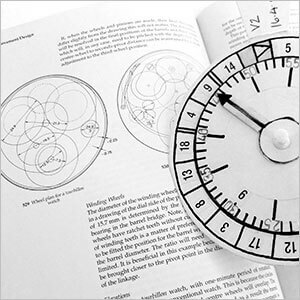 We have access to a dedicated team of watch technicians who provide excellent after sales care including advice, spares and repairs. 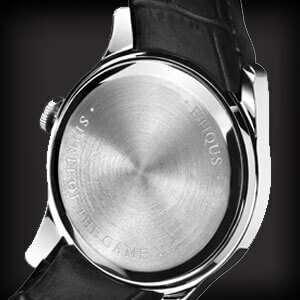 We wanted to create a quality wristwatch that was within reach of any golfer. So we reasoned that if one of the most popular purchases by a golfer is a new driver which typically range in price from £150 to around £350 then that would make a great price point for a watch. 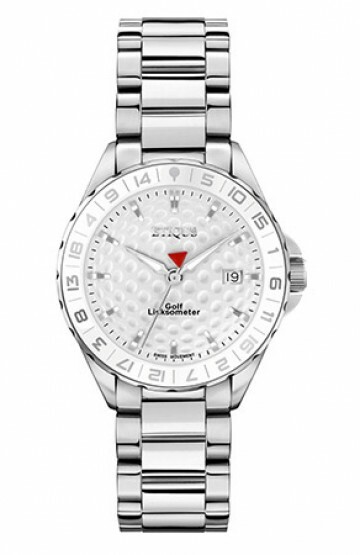 By offering our timepieces ONLINE direct to the golfer we are able to offer a great quality product at a very competitive price. 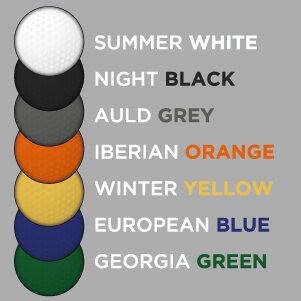 And yes they're exclusive too as they have been created exclusively for golfers. 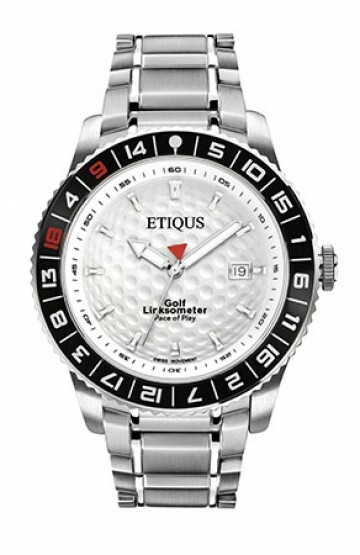 If you're a golfer and a watch lover too, who already owns a number of watches, then an ETIQUS timepiece is one you should consider adding to your collection. And you know what?... 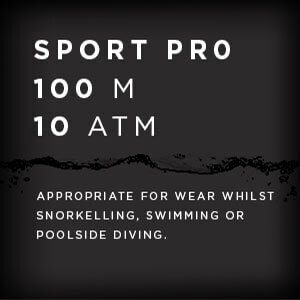 you might find yourself wearing your ETIQUS more often than the purchase price would demand.